The Makino Collection has now been fully arranged. This archive started with one book by Charlie Chaplin, discovered at a secondhand bookstore. This provoked a passion for cinema in the young man who found it, inspiring him to become a filmmaker. Over the course of fifty years, the archive grew and his passion was realized, as he was established as a filmmaker and scholar, wishing to form a center for film studies. During this time, a number of students of film studies from Japan, as well as internationally, visited his house, which became a maze of archives – many of these students have since become accomplished film scholars. Now all materials in the collection are open to the public at Columbia, finding a new place to welcome scholars. The broad range of materials in this collection will offer new scholarly perspectives on film studies of the pre- and post-war years for researchers. The finding aid, a consolidated information list of the collection, is now accessible online, through Columbia University Libraries’ Archival Collections Portal. Please browse through the finding aid, and enjoy the collection that has taken over seven years of processing. This entry was posted in Archival Collections, CLIR, East Asian cinema, Japanese culture, Japanese Studies and tagged CLIR 2013, Film Studies, finding aid, Japanese culture, Japanese Studies on February 25, 2016 by Miki Masuda. So, as we’ve established, film fliers are ephemeral. Unless they happened to end up in the hands of collectors, they are supposed to be discarded after being distributed in conjunction with a film’s release. However, there is more ephemeral media than just film fliers: film advertisements within newspapers, for example, when a film is brought to the public, a variety of promotional methods could be used. Newspaper advertising is one of the traditional methods to promote films among a broad range of audiences. Newspapers report up-to-date news and information. After reading through a paper, most often, we immediately discard it. The advertisements are a sub-content of the paper, but can be more significant, for example, especially when a full page is designated for it. The newspaper’s nature, immediacy of information makes film advertisements in it a lot different from the contents of regular film fliers. 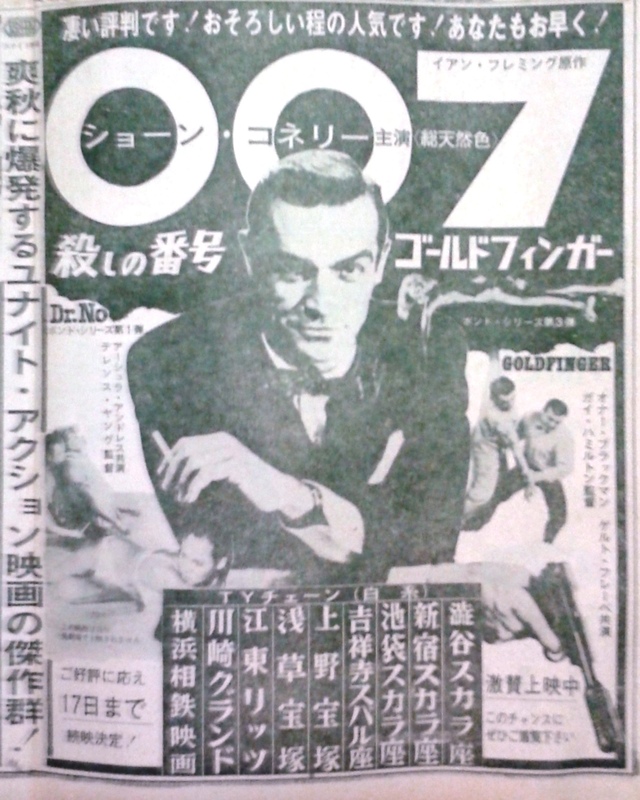 With this in mind, we will look at some interesting newspaper film advertisements from the Makino Collection. Newspaper advertisements are different because they include not only film images, but also fresh eye-catching copy, which cannot be seen in typical film ephemera. Since newspapers are not meant to be preserved over time, the contents of newspaper advertisements need to be up-to-date, fresh and entertaining. The big difference, which is also the most entertaining thing about them, is that film advertisements will be flashy, appealing, and include funny slogans with weird wording, in contrast with the more polished look of film fliers, which usually features an elaborate design. 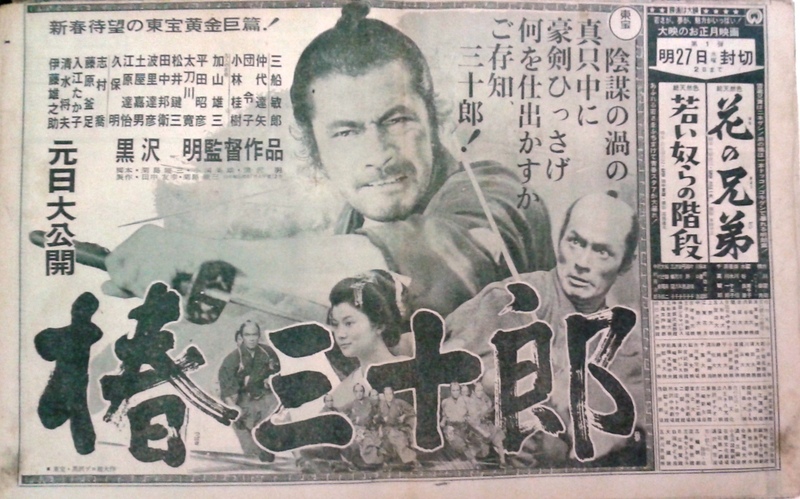 This entry was posted in Archival Collections, CLIR, East Asian cinema, film ephemera, Film Studies, Japanese culture, Japanese Studies, newspapers and tagged Cinema Art, CLIR 2013, film ephemera, Film Studies, Japanese culture, Japanese Studies on January 25, 2016 by Miki Masuda.